BUCHAREST, Romania, 30-Jul-2018 — /EPR Financial News/ — In accordance with the FSA Regulation no. 5/2018 and art. 2 of the Commission Delegated Report (EU) 1052/2016, DIGI COMMUNICATIONS N.V. reports to the regulated market (Bucharest Stock Exchange “BVB”, Romanian Financial Supervisory Authority “ASF”, the Dutch Authority for the Financial Markets “AFM”) the transactions which occurred under the DIGI symbol between 23-27 July 2018. BUCHAREST, Romania, 23-Jul-2018 — /EPR Financial News/ — In accordance with the FSA Regulation no. 5/2018 and art. 2 of the Commission Delegated Report (EU) 1052/2016, DIGI COMMUNICATIONS N.V. reports to the regulated market (Bucharest Stock Exchange “BVB”, Romanian Financial Supervisory Authority “ASF”, the Dutch Authority for the Financial Markets “AFM”) the transactions which occurred under the DIGI symbol between 16-20 July 2018. BUCHAREST, Romania, 16-Jul-2018 — /EPR Financial News/ — In accordance with the FSA Regulation no. 5/2018 and art. 2 of the Commission Delegated Report (EU) 1052/2016, DIGI COMMUNICATIONS N.V. reports to the regulated market (Bucharest Stock Exchange “BVB”, Romanian Financial Supervisory Authority “ASF”, the Dutch Authority for the Financial Markets “AFM”) the transactions which occurred under the DIGI symbol between 9-13 July 2018. BUCHAREST, Romania, 09-Jul-2018 — /EPR FINANCIAL NEWS/ — In accordance with the FSA Regulation no. 5/2018 and art. 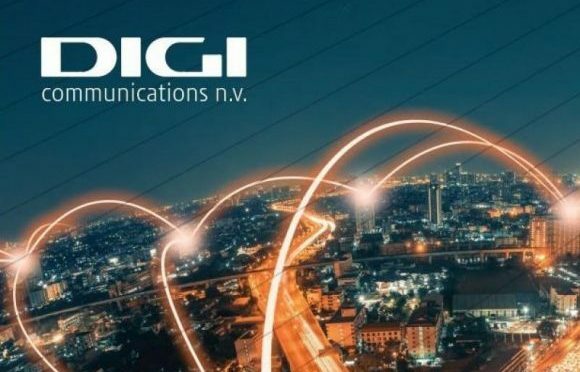 2 of the Commission Delegated Report (EU) 1052/2016, DIGI COMMUNICATIONS N.V. reports to the regulated market (Bucharest Stock Exchange “BVB”, Romanian Financial Supervisory Authority “ASF”, the Dutch Authority for the Financial Markets “AFM”) the transactions which occurred under the DIGI symbol between 2-6 July 2018. BUCHAREST, Romania, 04-Jul-2018 — /EPR FINANCIAL NEWS/ — Digi Communications N.V. announces the publishing of ANCOM approval for RCS & RDS S.A. to continue to apply a surcharge for certain roaming services provided in the EEA for a renewed period of 12 months. We would like to inform the market and our investors that the National Authority for Management and Regulation of Communications in Romania (ANCOM) has authorized RCS & RDS S.A., the Company’s subsidiary in Romania (“RCS&RDS”) to continue to apply a surcharge for certain mobile telephony roaming services supplied to its customers traveling in the European Economic Area (EEA), therefore including the European Union. 97 Euro/GB (0.00297 Euro/MB), excluding VAT. RCS&RDS will apply the roaming surcharges starting from the first unit of consumption supplied to its own customers traveling in the EEA. The renewed authorization issued by ANCOM will apply for 12 months starting 1 July 2018. For information regarding the initial approval in this respect granted to RCS&RDS in 2017, we invite the market and our investors to refer to the current report issued by the Company on 30 June 2017 (http://www.digi-communications.ro/en/investor-relations/shares/current-reports/digi-current-report-30-06-2017). BUCHAREST, Romania, 04-Jul-2018 — /EPR FINANCIAL NEWS/ — In accordance with the Romanian National Securities Commission Regulation no. 5/2018 and art. 2 of the Commission Delegated Report (EU) 1052/2016, DIGI COMMUNICATIONS N.V. reports to the regulated market (Bucharest Stock Exchange “BVB”, Romanian Financial Supervisory Authority “ASF”, the Dutch Authority for the Financial Markets “AFM”) the transactions which occurred under the DIGI symbol between 25-29 June 2018.